• Self watering planter ensures the plants take enough water they need for days, and you don't have to water frequently. Up to 10 days or more of watering per fill. 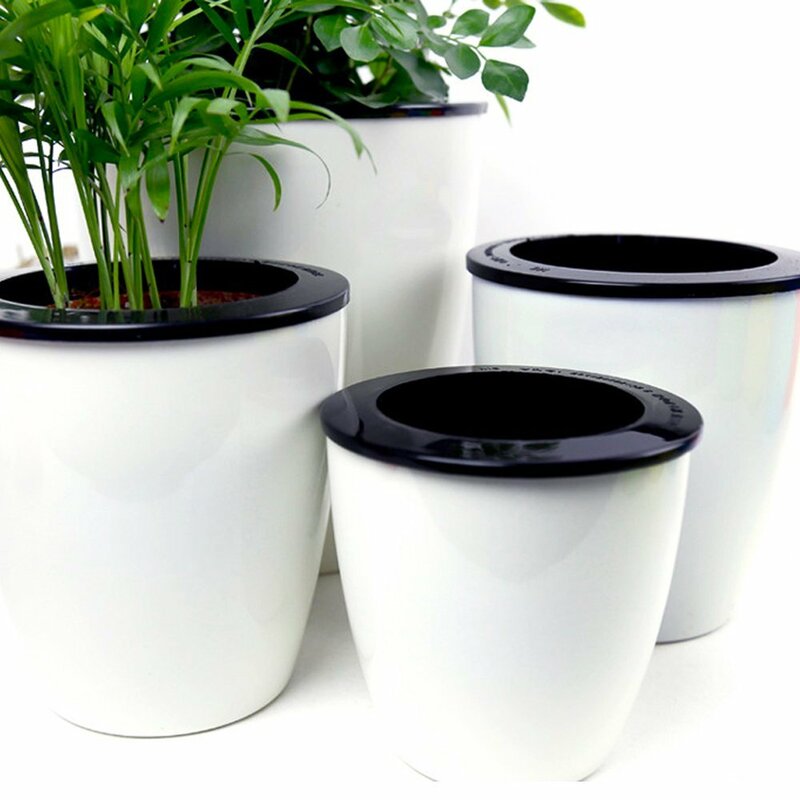 • Durable, PP plastic planter, great for indoor or outdoor use. No plant includes in this item! • This clever self watering planter can help you to care your plants when you go outside a couple days or on business. • Thanks to the double-layer design that allows excess water to be stored in the bottom of this planter pot and provided to your plant as needed. • Please note that watering the plant cannot exceed the inner basket and the water level within the flower pot is 0.4In, it will cause plant death of water-logging otherwise. Return to the Category "Around the Home"